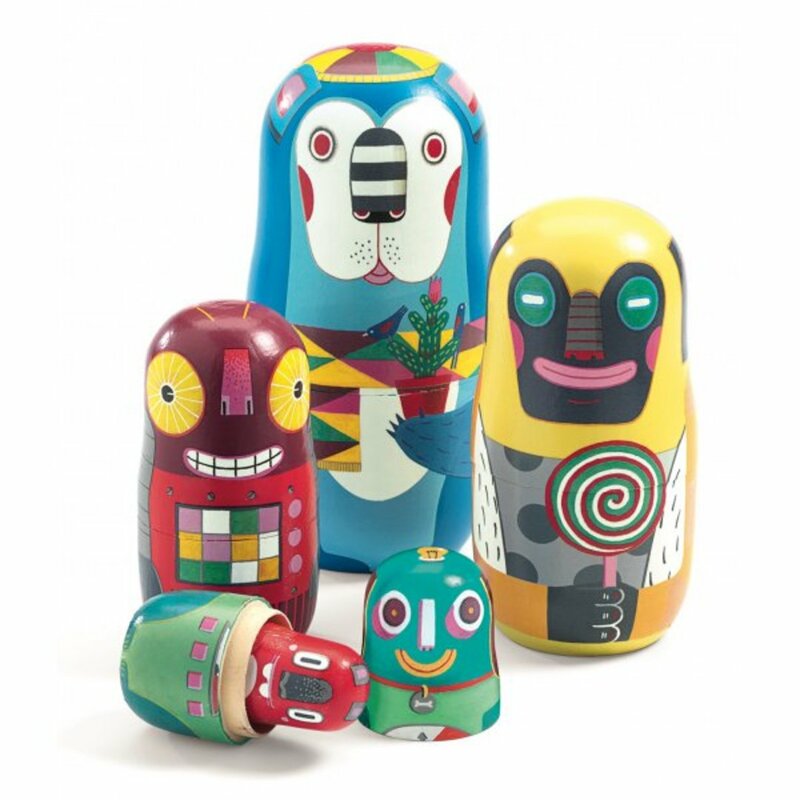 The Djeco Matriochkas Animachkas nesting dolls are 5 colourful and wacky characters that open and fit inside each other. This age-old wooden game stimulates motor skills by learning to open and close the dolls, as well as the observation to make the drawing of the top coincide with that of the bottom. This unique toy will be an equally playful and decorative addition to your child’s room.